Is Fort Knox The Ultimate Home Safe? Fort Knox safes are more than just a pretty face. And the name Fort Knox is not thrown around loosely. These safes really are the ultimate in a home safe especially when you want to protect firearms in addition to precious metals like gold and silver and maybe some cash besides. There are no soldiers that guard the gold in your Fort Knox home safe, but there is a lot to be said for the security that one of these bad boys brings. The bad part is: the price. Quality costs money, but I think with a Ft Knox safe you actually do get what you pay for. And you will pay a lot. Let’s take a little bit deeper look to see what you get with all the money that a Ft Knox safe will set you back. There are too many features to list of a Fort Knox safe, and to be clear, not every model has every feature. Add features, add cost, it’s that simple. Weight. Where a typical gun safe of a given size might weigh in at 600 pounds, you might find that a comparably sized Ft Knox safe weighs 1000 – 1200 pounds (and that’s not their heaviest). Why is weight important? Because the thieves don’t have to defeat the lock or perimeter of the safe in limited time at your home if they can easily carry it away to their workshop. Bolt Down. Most safes come pre-drilled to bolt down the safe to the floor, maybe even the wall on an upright gun safe. Ft Knox safes of larger sizes have 4 bolt downs. Again, just that much harder to carry away. More Locking Bolts. Fort Knox safes have so many locking bolts they about run into each other. Corner bolts are an option on lower models and standard on top models. No one is going to get a corner started with a pry bar. Thicker Locking Bolts. 1 1/2 inch bolts. They are massive. Thicker Door. Again it depends on the model and options but most are a THICK door. More Fire Protection. 1680 degrees for 90 minutes, and you can buy even more protection if you wish to give up some interior space. Interior Options. Countless shelf and gun options, interior lighting (automatic when you open the door), door organizers, de-humidifiers, extra 110 outlets. Size and Color Options. Lots to choose from. Relockers. Several features to thwart drilling and cutting through the door. When buying a home safe these days you have to consider the plasma cutter. Plasma cutters can make a quick, even neat, cut in some of the toughest metals like a hot knife through butter. Fort Knox safes have relockers in the door to thwart this attempt but the thieves may be willing to risk burning cash or other documents in the safe by cutting through the sides with a plasma cutter to get at gold, silver or other fire resistant precious metals. But there is one metal that plasma cutters cannot cut through: Stainless Steel. So one option available with most Fort Knox safes and even standard on the top of the line Legend series is a stainless steel liner for the specific purpose of thwarting the plasma cutter. Notice that Fort Knox is not just resting on their laurels but continually innovating to keep your valuables safe. The Price. Boy are they expensive. I could easily get $5500 into one, no problem. Of course we want the best, the Legend, with the plasma cutter resistant stainless steel package. The Weight. Yes, the weight is a good thing, until you go to move them. More than likely I would have to pay upwards of $300 for delivery and that is just to my garage. They need more money to install in the house, especially if there are steps. Then if you need it moved, to another house or whatever, call the guys back and pay another $300 or more. And then there are 3 or 4 guys who know where you have it. The Choices. They have almost TOO many choices, especially when it comes to interior layouts. How is a person to decide? Availability. 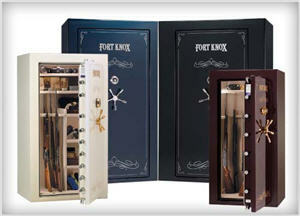 Fort Knox safes are only available from dealers and there just are not that many around. Depending on where you are at you may find a bit of a trek to get to one. That also means that delivery cost to your garage is going to cost even more. 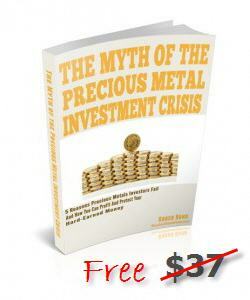 We believe that a Fort Knox home safe can be an excellent way to store gold at home. You won’t find it as easy to conceal as many safes but they do offer a great deal of protection against burglary (not robbery!) and also fire, tornado, hurricane or even a 25 ton tank rolling through your house (there is a video on their website of a tank driving over and sitting on top of 2 safes). You will pay for that quality and protection and likely will need help with delivery, installation and subsequent moves. This is an asset that will be passed down to future generations, though, it is of that quality.